Late last month, two new studies received a flurry of news coverage and at first blush appeared contradictory: An insurance-industry nonprofit found that collision claims had increased in states that legalized marijuana compared to others, while a paper published in an academic journal found no link between legalization and traffic fatalities. 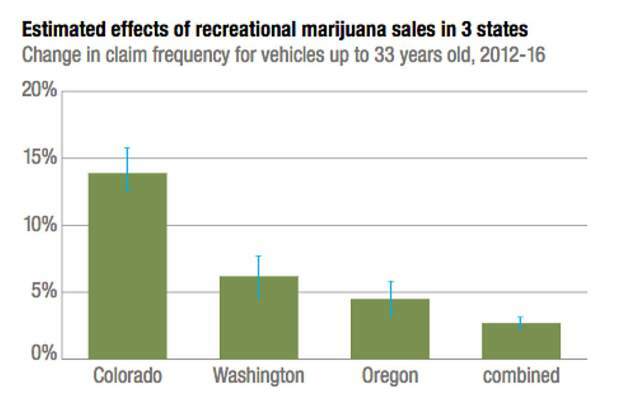 The first study, conducted by the Highway Loss Data Institute, found that the frequency of insurance claims for collisions increased by 13.9 percent in Colorado compared with three neighboring states since the legalization of marijuana. The report summarizes a recent meeting of state safety officials, providing clear-headed if somewhat anodyne recommendations, such as carefully crafting new laws, providing training for law enforcement, and collaborating with the marijuana industry to promote safety.